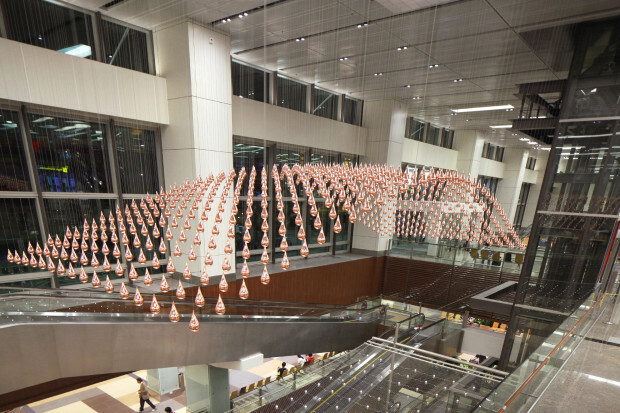 Passengers and visitors entering the Departure Check-in Hall at Changi Airport’s Terminal 1 (T1) are captivated by the art installation Kinetic Rain. 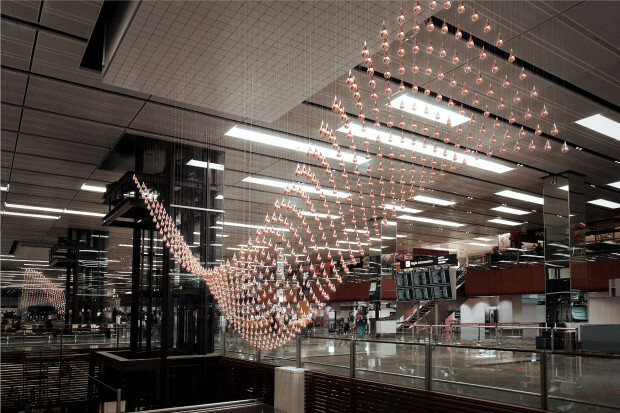 The installation comes as a pair installed several meters apart above the central escalators and visible from many locations. 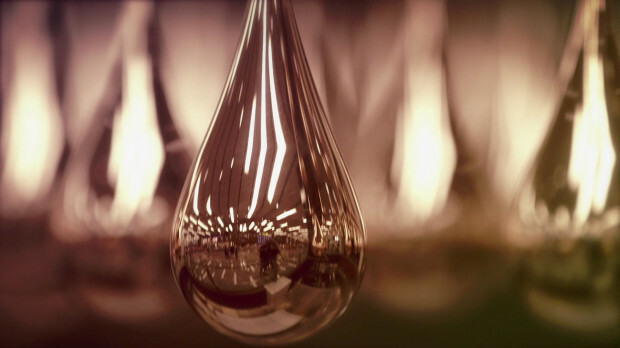 The two elements move in dialogue through a fifteen-minute choreographed piece, evolving from abstract to figurative three-dimensional forms carrying the theme "dream of flying". 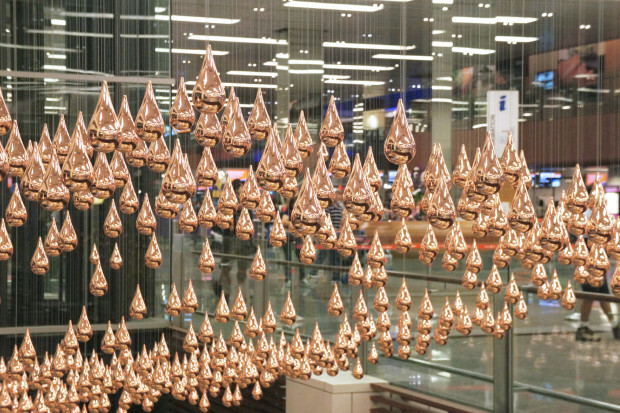 The 1,216 copper-plated droplets transform into the different forms through slow, fluid movements. Between shapes reminiscent of gusts of wind, undulating waves and abstract membranes, majestic wings, an airplane and a kite are recognizable. In the course of refurbishment works Changi Airport Group commissioned us to create a signature art installation for the Departure Check-in-Hall of T1 in response to the terminal’s theme “Tropical City” in keeping with Singapore’s garden city status and where rain, is very much a part of the tropical climate. 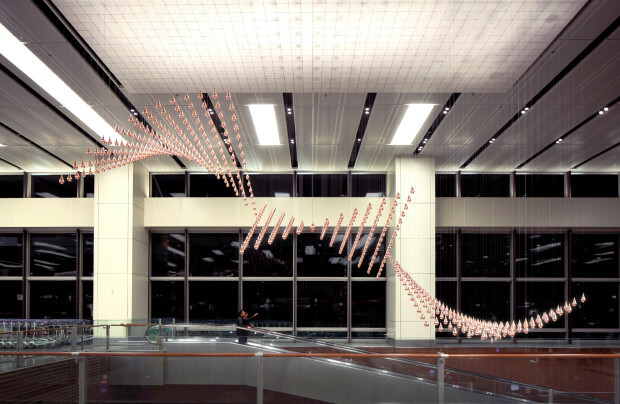 At the same time, the art piece was supposed to carry the theme of flying and to fill the emotional void that the installation ‘Mylar Cords’ had left which vanished with the terminal’s old interior. Clearly the new artwork was supposed to bring some calm to the busy travelling atmosphere of the spacious departure hall, and to slow down people’s pace, providing a moment of contemplation. The given location above the two escalators was both challenging and inspiring. 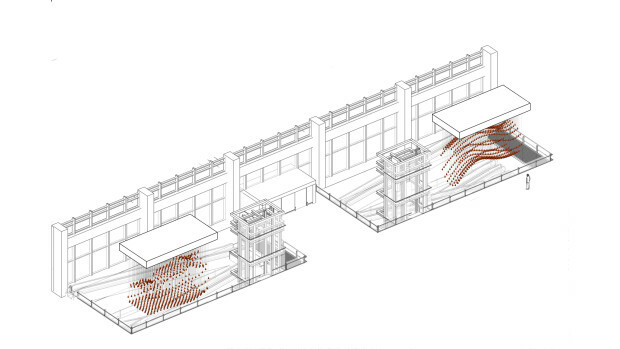 It requested a piece that would work from all perspectives and at all times, while moving on the escalators, while passing it on the upper level, and while looking at it from afar.